i have made an album or two in my past, or at least i've been the drummer on those selfsame recordings. one consisted of blues songs the choosing of which i played no part in whatsoever. the more recent (and even that was more than a handful of years ago) took the form of a live album recorded direct from the mixing desk during islay jazz festival. almost entirely due to the quality of singer on the latter, sales were reasonably healthy and it even received extended airplay on bbc radio. the principal reason for issuing the latter as a compact disc was to raise funds for cystic fibrosis, the other two musicians (mario caribe and paul harrison) waiving any requirement to receive earnings from sales. however, as the recording of a live performance, the singer and i had spent the preceding months deciding on the material to perform and rehearse (as well as a singer and drummist can) ensuring that the audiences for the gig and the disc would hopefully have few, if any, grounds for complaint. despite the rather last minute circumstances surrounding the recording, after a modest degree of editing in audio software, the sound quality of the resulting issue was actually not that bad. in fact, i almost committed a bit of a faux pas a month or two later when i failed to recognise a track from the cd and almost unknowingly complimented myself. how embarrassing would that have been? fortunately, the situation whereby a follow-up issue was required did not materialise, for truly, that's where the problems would undoubtedly have begun. for instance, did our audience enjoy the songs because they were all originally performed by billie holiday? in which case, would they then expect a second recording of songs by the same artist, or would they have preferred that we move on to a vocalist of the same era? perhaps a touch of contemporaneity, adopting material by a modern-day singer or maybe even an original number or two? i think you can probably see where i'm going with this. version one of anything can go one of two ways; either it's a roaring success or it sinks without trace. 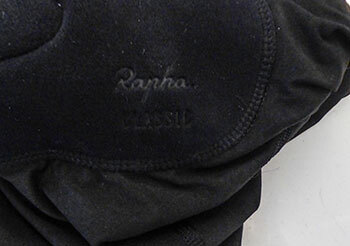 strictly speaking rapha's latest offering in their classic range is version three rather than number two. for the original rapha bibshorts, though maybe the first set weren't bestowed with the classic name, featured a petacchi insert manufactured by nalini, the form of which suited my posterior just ginger peachy, though apparently that was not the case for many others. so the pad changed. 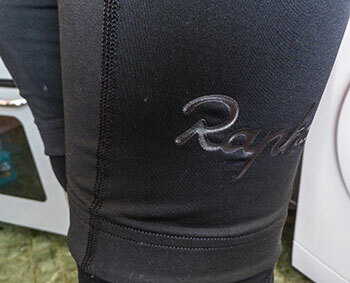 i'd have been inclined to view that new, improved version as edition number two, but since nothing else on the shorts had altered, perhaps rapha adopted the system beloved of software developers and imprinted them as version 1.1. either way, their original classic shorts have proved to be one of the most popular items of cycling apparel over the past ten something years. so much so, that altering them in any way was always bound to be something of a worry. bear in mind that coca cola issued and recalled an improved recipe of their fizzy drink which, at the time, probably did them more harm than good. history is replete with instances where the second edition of anything ought better to have been left in the design cupboard. however, buoyed with the confidence that comes with twelve years of unrelenting expansion and success, the folks at imperial works (version two) have seen fit to issue not only version two of the classic shorts, but also of their pro-team bibshorts and women's shorts too. on the basis of almost 150km in a pair of the new classic shorts, a considerable part of which was in galeforce wind-driven rain, rapha need have little fear that the reaction will be in any way negative. the lycra featured in both versions one and two is quite probably fabricated from the soft fur of an angora bunny. rarely has my posterior been cossetted in such a soft and cosy fashion. 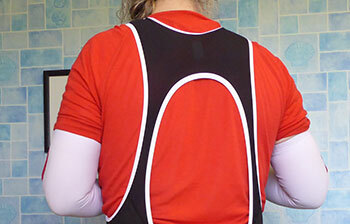 but, not to put too fine a point on it, soft lycra is rarely the first point of contention in a pair of bibshorts. with many of my non-cycling colleagues still referring to race-bike saddles as perilously close to razor blades, the bit that we are all more than interested in is the padding concealed within. though it's a philosophy that can be applied to several aspects of velocipedinal life, the more invisible the shorts are in use, generally the better they are. this pad is invisible. i have ridden in bibshorts before that have acquitted themselves well when the weather is dry and warm, but which bite back with a vengeance in pouring rain, pointing out with some certainty, just what the word chafing really means over an 80km bike ride. 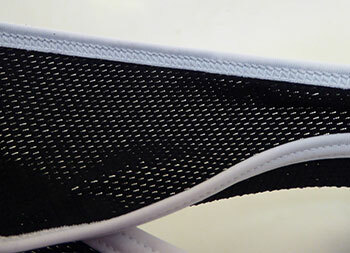 however, from the mesh straps that leave no trace, to the low cut front in case nature calls, along with what can genuinely be reported as an improved padded insert, these are the bees knees. and while on the subject of knees, the gripper at the hem does its job most admirably without any undue pressure. i offer only by way of mitigation, the fact that i'd to pair the classic ii bibshorts with a pair of rapha shadow kneewarmers solely on the basis that it's still pretty darned chilly and wet up here, even for a hebridean such as myself. it is the way of the spring classics is it not? peter sagan wore kneewarmers both at omloop and kbk, but probably did not have the luxury of edition two of rapha's finest bibshorts to date. he's probably beyond consolation.